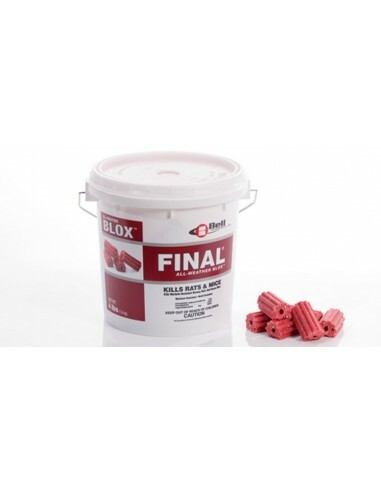 Final Blox is effective on both rats and mice. It works especially well to clean out persistent mouse infestations where control is difficult or resistance is suspected. 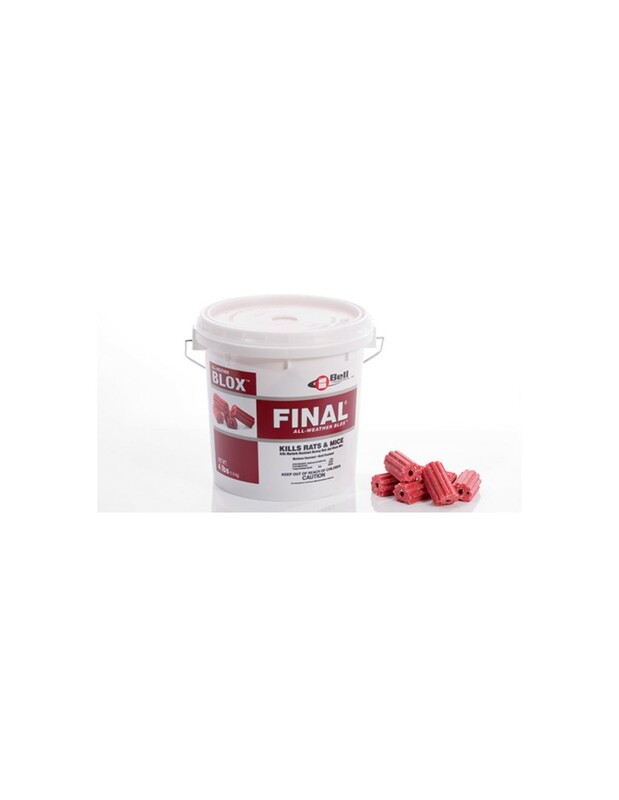 Bell Final Blox is designed for control of norway rats, roof rats and house mice in and around homes, industrial, commercial, agricultural and public buildings and similar man-made structures. Final Blox may also be used in transport vehicles (ships, trains and aircraft) and in and around related port or terminal buildings. This product may also be used in alleys, and sewers. Do not place bait in areas where there is a possibility of contaminating food or surfaces that come into direct contact with food. Do not broadcast bait. When used in USDA inspected facilities, this product must be applied in tamper resistant bait stations such as the EZ Klean or Protecta. USE RESTRICTIONS: For control of Norway rats, roof rats and house mice in and around homes, industrial, commercial, agricultural and public buildings, and similar man-made structures. May also be used in transport vehicles (ships, trains, aircraft) and in and around related port or terminal buildings. This product may also be used in alleys and sewers. Do not place bait in areas where there is a possibility of contaminating food or surfaces that come in direct contact with food. Do not broadcast bait. 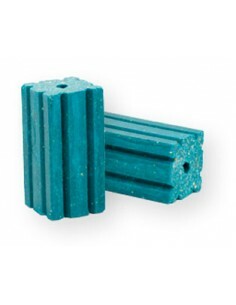 When used in USDA inspected facilities, this product must be applied in tamper-resistant bait stations. Bell Final Blox Manufacturer: Bell Laboratories, Inc.